The Leo Strauss Center is proud to publish the digitally remastered audio files of the course given by Leo Strauss on “Plato’s Political Philosophy: Apology and Crito” in autumn quarter, 1966 at the University of Chicago. This is one of 26 courses (and one reading group) for which a partial or complete audio record exists. 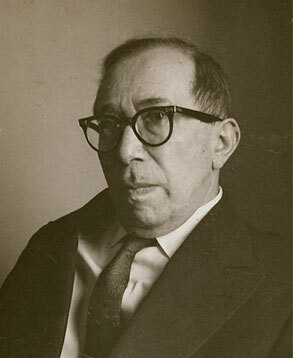 The Leo Strauss Center’s goal is to publish the 27 sets of audio by the end of April, 2011. We expect to begin publishing edited transcripts in the spring of 2011 and to complete the publication of all 44 of the course transcripts (and the transcript for one reading group) within the next four years, if sufficient funding is obtained. The Center will not distribute any transcript until it has been published. If you would like to receive an email alert each time a new audio file or transcript is published on the website, please enter your email address in the subscription box to the right. The Leo Strauss Center invites submissions for publication on the Center’s website of recollections of Strauss by his former students. Such submissions may be in a Word document, a hard copy manuscript, or an audio or video file. The Center reserves the right to edit all submissions chosen for publication. The Leo Strauss Center would like to thank Craig Harding of September Audio for his expert and diligent work digitally remastering the collection of tapes of Strauss’s courses; Quinn Dombrowski and Matthew L. Aron of the University of Chicago Scholarly Technology and Research Computing office for designing and building the Center's new website; Alice Schreyer, Daniel Meyer, and Eileen Ielmini of the University of Chicago Special Collections Research Center; Charles Blair of the University of Chicago Digital Archive; and Warren Winiarski, the National Endowment for the Humanities, Richard Schiffrin, Earhart Foundation, and dozens of individuals for their generous support. Please send suggestions for improvement of this website and other comments to LeoStraussCenter@uchicago.edu. Please send an email to mckeenge@uchicago.edu in order to receive updates about new materials and events. "[The philosopher] is ultimately compelled to transcend not merely the dimension of common opinion, of political opinion, but the dimension of political life as such; for he is led to realize that the ultimate aim of political life cannot be reached by political life, but only by a life devoted to contemplation, to philosophy. This finding is of crucial importance for political philosophy, since it determines the limits set to political life¸ to all political action and all political planning. Moreover, it implies that the highest subject of political philosophy is the philosophic life: philosophy—not as a teaching or as a body of knowledge, but as a way of life—offers, as it were, the solution to the problem that keeps political life in motion."